It’s not every day that you get to welcome twins into the world. So why settle for a Christening invitation, designed for one, when you can have one made for two? 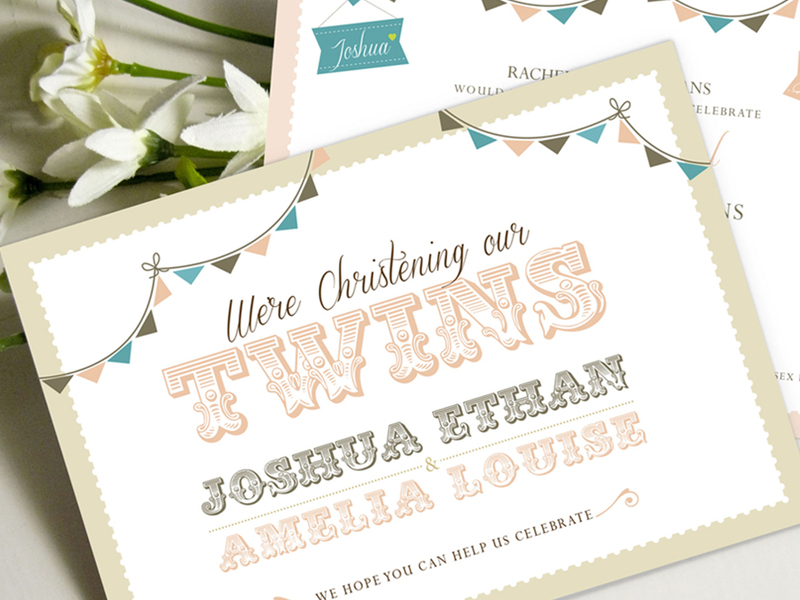 That’s right, there’s space for both your little ones on our Twin Christening Invites. 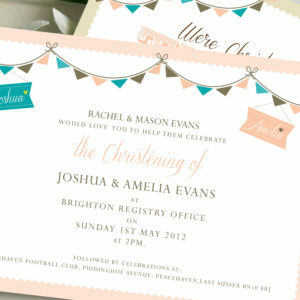 With a simple postcard design, complete with a high quality envelope, our Twin Christening Invites are so easy to send. And they’re designed for two, so you can have both names printed on the front and back – you see, there’s no favouritism here. This invite is just as good for shared brother or sister Christenings. This invite is a cute postcard size 105mm x 148mm – but if you have a specific size in mind, just let us know and we can amend it to suit. 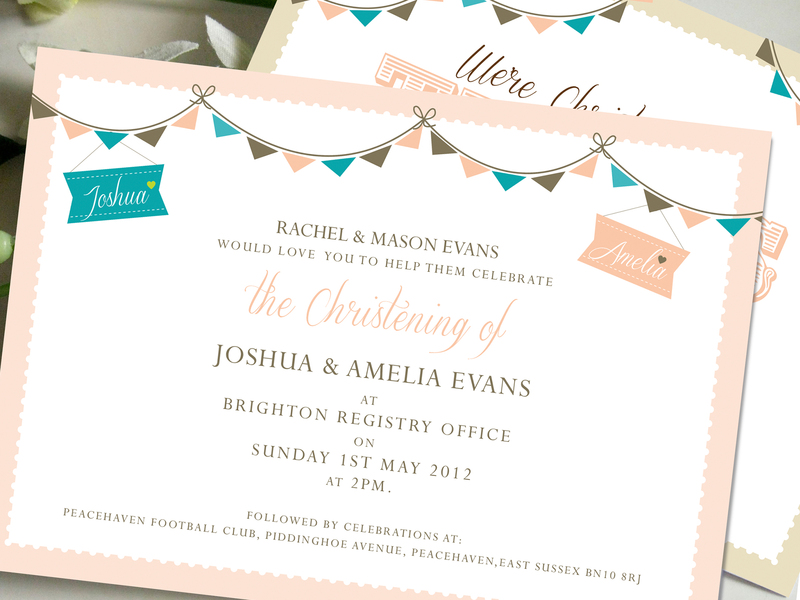 Our Twin Christening Invite look lovely in pink and blue, but we can make them in any colour under the sun. Just let us know what your christening or baptism colours are and we’ll make it happen.